Cutaneous and renal glomerular vasculopathy lesions (CRGV) on the muzzle. Laura Holm of Anderson Moores Vet Specialists wrote “Noticing signs of CRGV in dogs to diagnose disease presence” in the Vet Times (March 21st 2016). 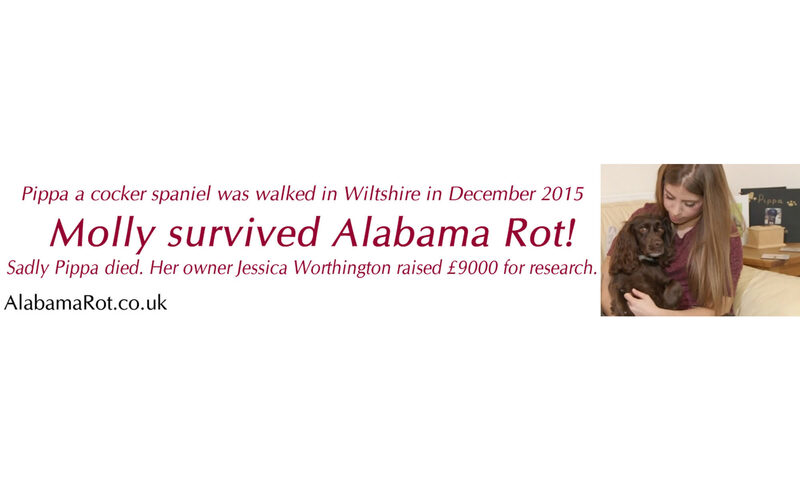 Laura Holm a vet from Anderson Moores Veterinary Specialists – the UK leading authority on Alabama Rot – will speak at a fundraising event in Bransgore, Dorset on Friday 22nd April 2016. 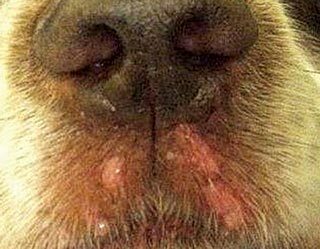 Dogs with skin lesions can get quick Alabama Rot diagnosis. A Veterinary Record letter published 16th January 2016 (click image below) from David Walker at Anderson Moores Veterinary Specialists and Rosanne Jepson at the Royal Veterinary College offer vets a free glomerular filtration rate (GFR) kidney test for dogs with skin lesions. 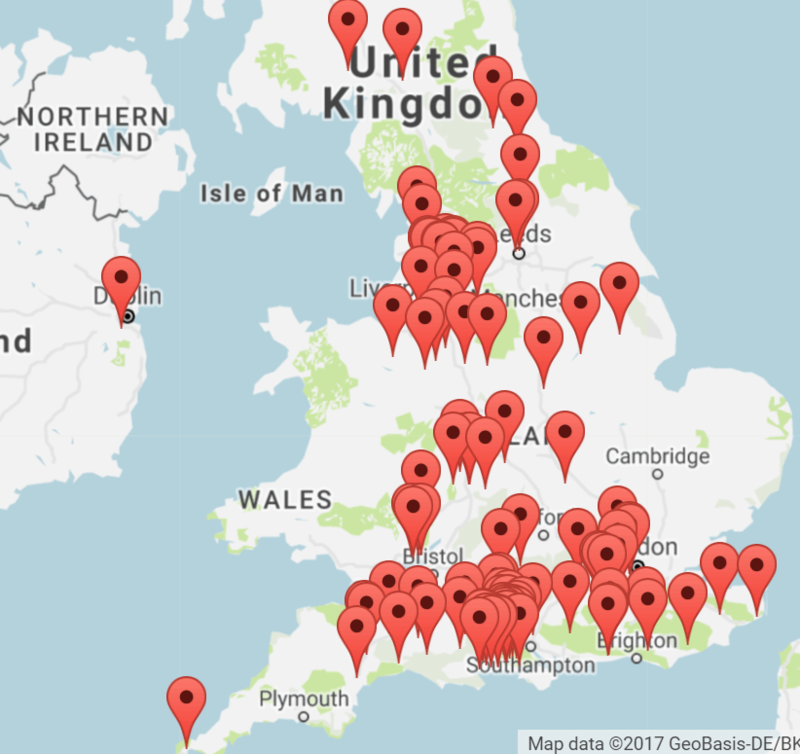 Anderson Moores Vet Specialists take referrals from vets; research treatments and causes of Alabama Rot. The presentation covered the background, literature, case information and prognosis of CRGV.